I would like to consider the quote from Andy Goldsworthy which Louise cited in her last blog. “We often forget that WE ARE NATURE. Nature is not something separate from us. So when we say that we have lost our connection to nature, we’ve lost our connection to ourselves.” ― Andy Goldsworthy. But first, I want to go back to the question of ‘what is nature?’ The literary critic Raymond Williams made the claim that ‘nature’ was “perhaps the most complex word in the language” owing to the vast variety of meanings the word denoted down through the centuries. Yet he says that it is relatively easy to distinguish three areas of meaning: (i) the essential quality and character of something; (ii) the inherent force which directs either the world or human beings or both; (iii) the material world itself, taken as including or not including human beings. I think it is reasonable to assume that when most people talk about feeling alienated or disconnected from nature they are referring to Williams’ third meaning, to the material world of landscapes, mountain, river, lakes and tress. This definition of nature is understood as the opposite of human civilization, the world out there beyond the city limits. So when people want to get back in touch with nature they pack their bags and head off camping for a few days in the wild. And when they are out there they may very well connect with nature. But they return to their civilized lives and that feeling of alienation and disconnection from nature returns. This is partly because ‘nature’ is understood as being ‘outside’ of us and we can be only in touch with it as long as we are out there immersed in the wilderness. But then there is what is called ‘human nature’ which is understood as something different to the external world of nature. Human nature includes the psyche and our unconscious nature and this is what I understand Goldsworthy to be referring to when he says that we have lost our connection to ourselves. What we have really lost are the channels of communication which kept us in touch with our root nature. In his extensive work on mythology, Joseph Campbell has talked about how the imagery of myth is the imagery through which our unconscious human nature communicates with our consciousness. When myth functioned in earlier societies, when the mythological symbols were received simply and naively, without criticism, they operated to keep the conscious programs in life in touch with the unconscious motivations. But when these symbols are interpreted and explained away as pseudo-scientific or pseudo-historical they lose their potency and no longer work. When this happens the disconnection takes place which leaves us with the sense of alienation which so many people feel today. From an ecocritical perspective this alienation can be interpreted as the consequence of the loss of those mythic symbols which were the vehicles of communication which kept our internal nature in accord with external nature. Because we no longer have a living mythology which serves this function we seek the connection with nature in other ways, by going out camping into the wilderness to find roots, as though those roots are out in the external world of nature. 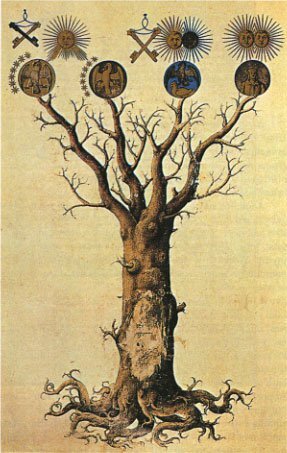 But according to Campbell the roots are really inside and they can be found by way of a restoration, or a reactivation of the real communication which these symbols originally rendered. This is where the collaboration between researchers and artists can prove really interesting. Artists are our modern myth makers. Their creative ideas spring from the same source as mythic imagery. They spring from the psyche. Like the myth makers of previous ages, artists understand the importance to present expression in metaphor and symbolic form as this is the language of the unconscious. What springs from their unconscious is then rendered in symbolic form which speaks directly back to our unconscious. Artists can keep alive the mythic symbols which originally kept the unconscious nature in touch with our consciousness by recreating, regenerating, and reimagining these symbols in such a way that they speak to contemporary audiences. By so doing, they can help repair the loss of connection between internal and external nature. The ancient myths and poetry which researchers like myself work on can provide the artist with a happy hunting ground for rediscovering the language of inner nature which speaks to outer nature and which keeps us in harmony with the earth and makes us feel at home.